As one of the 30A area’s only large family-style restaurants and bars overlooking the Gulf, FOOW – Fish Out of Water — embodies the spirit of the WaterColor community: coastal, fun, and unpretentious, with impeccable service and cuisine. Located at the AAA Four Diamond and Forbes Four-Star rated WaterColor Inn, a St. Joe Club & Resorts property, FOOW serves seasonal regional cuisine with a Southern Coastal approach in Santa Rosa Beach on Northwest Florida’s Emerald Coast. 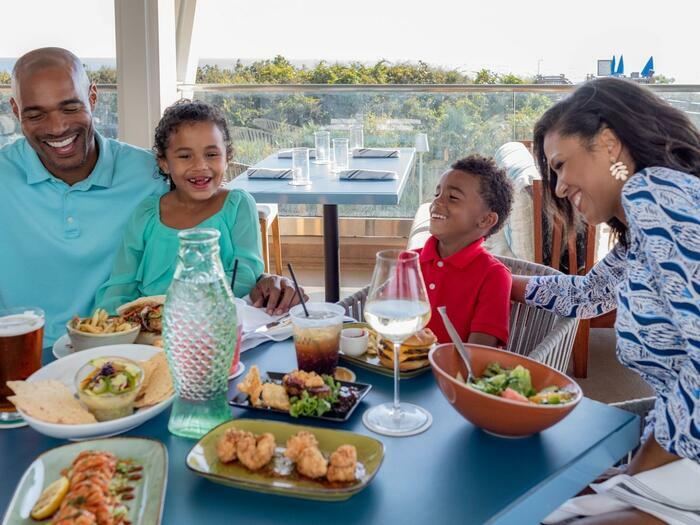 Opened in June 2018 after extensive renovations and menu updates of the previous award-winning iteration of Fish Out of Water, FOOW focuses on the fresh flavors of the coast combined with one of 30A’s most impressive Gulf views. High quality and efficient service sets the tone in an approachable, inspired setting serving lunch and dinner. At FOOW, we welcome you to stay in beach mode when dining with us. We are resort casual and swimsuit-friendly (shirt and/or cover-up required). In an effort to seat our guests more efficiently, we do not accept reservations for lunch or dinner at the restaurant. Designer and Architect Cooper Carry of The Johnson Studio led the complete redesign of FOOW, emphasizing Gulf of Mexico views and proximity to the white sand beaches synonymous with South Walton. The reimagined space includes a streamlined, open-air kitchen as well as an expanded Gulf view bar wrapping from the interior to the exterior, setting an indoor-outdoor vibe. Highlighting WaterColor Inn’s natural seaside environment, coastal hues mingle with warm hickory wood, blue/gray patterned fabric, and neutral textures. Light flows in through large windows during the day, while the sunset impresses guests in the evenings as nautical bulb fixtures turn on to provide a warm, ambient glow. 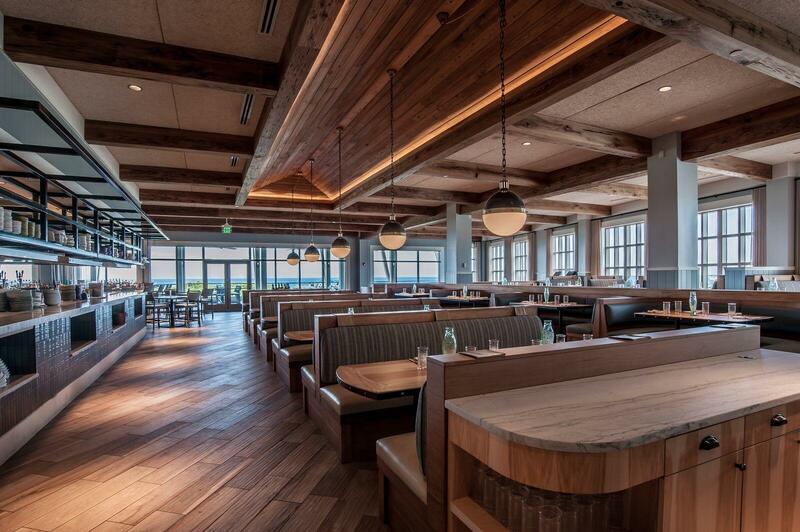 Varied table options, booths, communal spaces, and the patio all boast Gulf views from every seat. Artwork throughout the restaurant was commissioned and painted by local 30A celebrity artist, Justin Gaffrey. FOOW is located on the 2nd level of WaterColor Inn with elevator access through the main lobby or at the FOOW entrance, located on the west side of the hotel. Entry into the restaurant does not include doors or stairs and is wheelchair accessible.